From the dawn of GMOA time, we’ve charged £1 per map, irrespective. We have now switched to a policy where the price of a map reflects a combination of costs we incur and contributions from the individual park authorities. 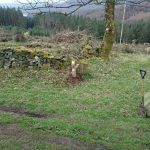 A set of keys has been found at Dove Stone – near a place unlikely to be visited unless you were orienteering (control CC). Looks like house keys and a make of car. Contact us if they could be yours. 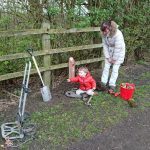 Last week, the frozen conditions prevented digging in replacement posts … so we went on a tour of post checks and gardening – Kersal Moor, Philips Park Prestwich, Clifton, Blackleach and Sale Water Park. 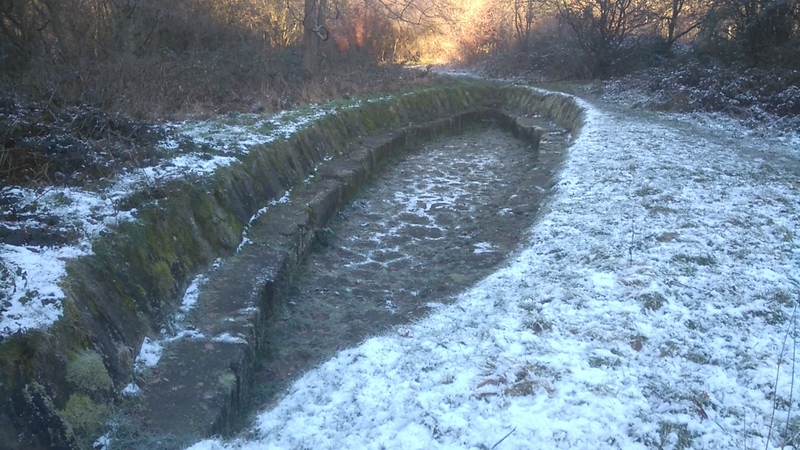 Photo is a boat-shaped thingy at Clifton Country Park. 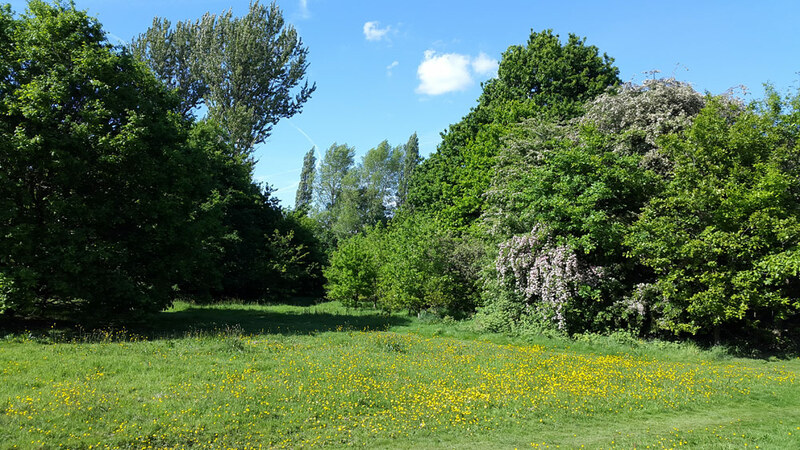 Checks of Chadderton Hall Park, and Strinesdale. New S/F plaques at the S1 and S2 starts at Daisy Nook. Rotted plaque D replaced at Gorse Hall. 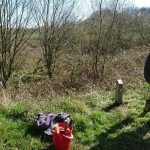 Missing plaque O replaced at Burrs Country Park. 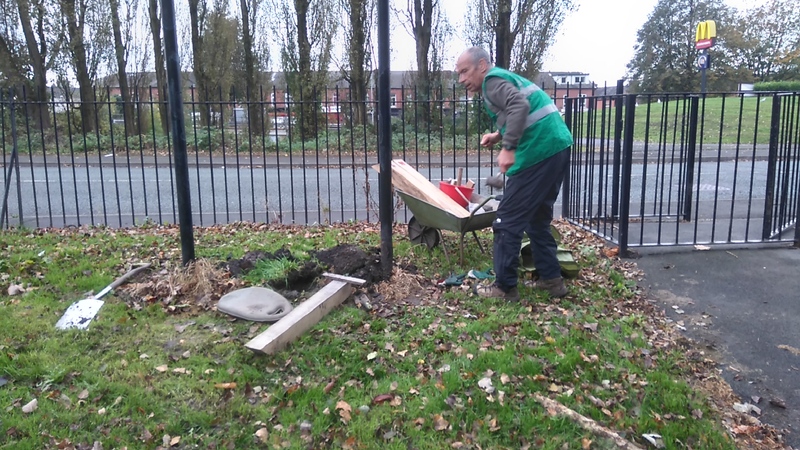 Rotten post Z replaced and missing plaque D put in at Hoyles Park. Missing post A replaced at Queens Park Heywood. 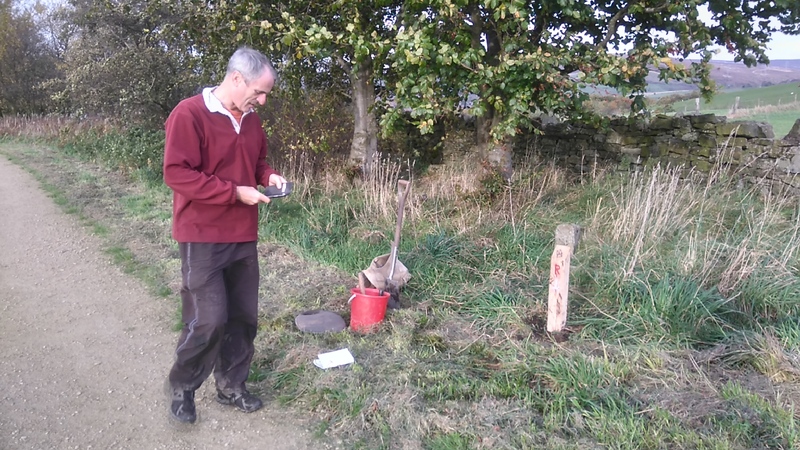 Missing post R replaced at Moss Bank. 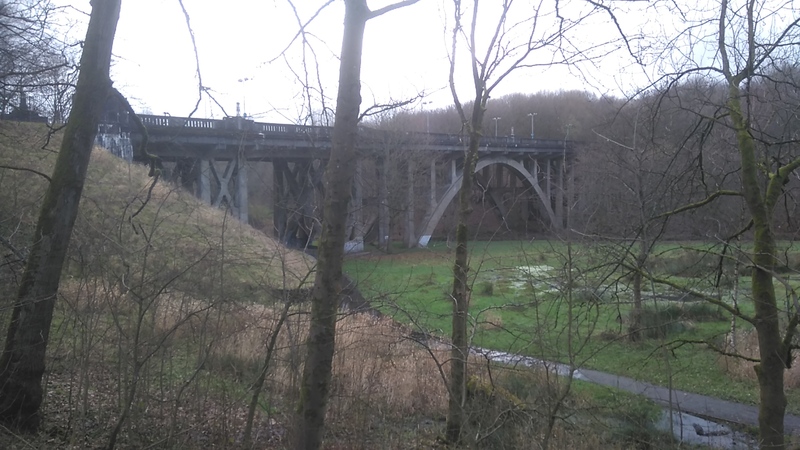 Photo is the bridge at Queens Park Heywood, from near post A. Apologies to everyone inconvenienced by the stern insecurity warnings issued due to our SSL expiring, and not being fixed for a fortnight. Not in any way related to the previous post. All should now be OK. Let us know if you have any concerns. Yesterday, the web site was down all day. In the last few days, we’ve discovered a rogue admin user – now deleted, several rogue news posts – now deleted, and this database corruption – now recovered. Apologies for any inconvenience. If you see anything odd on the site – please let us know. 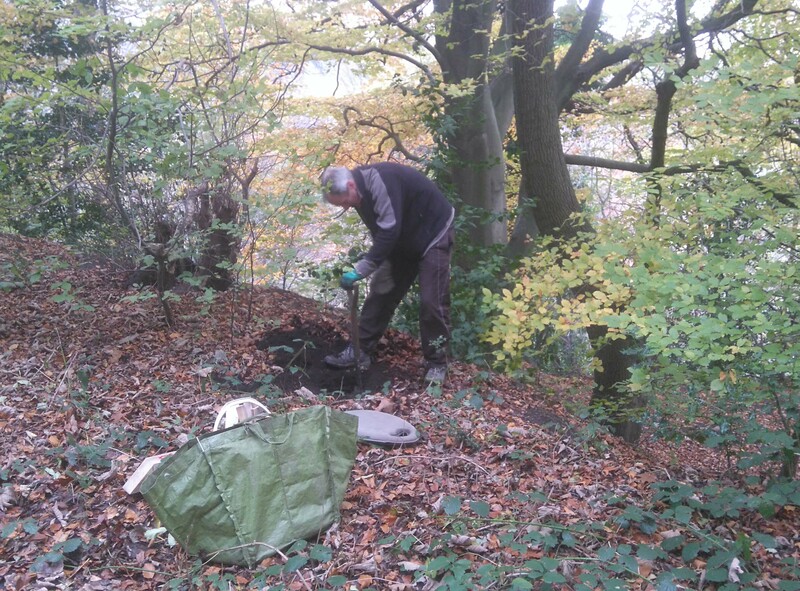 Picture is Dave McCann digging a very fine hole at Kersal Dale – now restored to completeness. Also, Prince’s Park, Irlam fixed and improved, and missing post J restored (as a plaque) at Daisy Nook.